As was reported earlier today, Nintendo tonight has taken the wraps off of its first mobile game during a press event with investors and the media in Japan. The game, called Miitomo, will be available in March of 2016 and is the first of five games the company plans to release by March of 2017 (via WSJ). 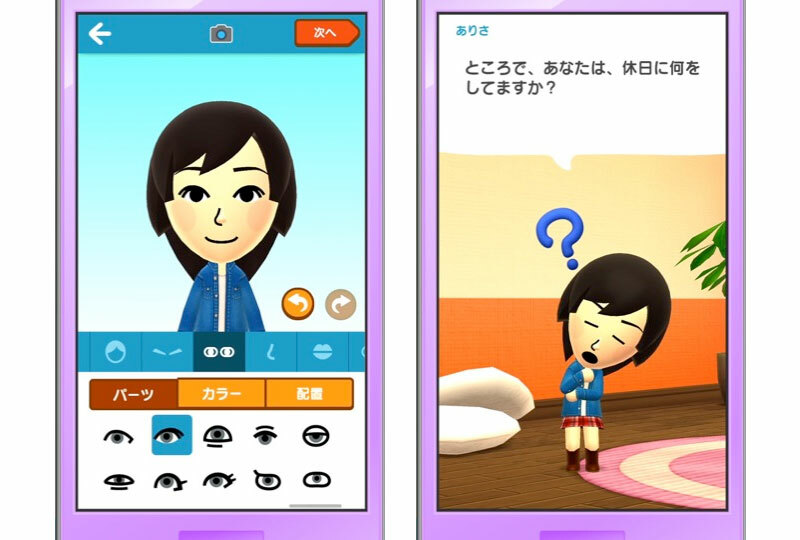 Nintendo says that the reason for the game’s delay into March of 2016 is it wants to fully educate and make people aware of what Miitomo is and does before releasing it. For the upcoming holiday season, however, the company would rather focus its marketing efforts on other games currently in the pipeline. It’s unclear what the other four mobile games Nintendo has in the pipeline are, but we’re hoping there’s more of a gaming aspect to them. The company said that the other games will be pay-to-download as opposed to in-app purchase based. Nintendo made no mention of Apple TV support for any of its upcoming games, which is to be expected considering the company’s resistance to support any non-Nintendo hardware.